National Geographic Explorers-in-Residence Sylvia Earle & Tierney Thys are among the world’s leading champions of ocean conservation. Through research, writing, and public outreach, they raise awareness of the ocean’s myriad beauties – and its vital importance to all life on the planet. 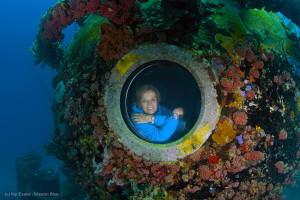 Sylvia Earle is a pioneer in the field of ocean conservation and marine engineering. She is the founder of Deep Ocean Engineering and Deep Ocean Exploration and Research, companies that develop the tools required for deep ocean exploration – from robotic submersibles to specialized lighting and cameras. She holds a PhD in marine biology from Princeton, has served on the National Advisory Committee on Oceans and Atmosphere, and was appointed chief scientist at the National Oceanic and Atmospheric Administration (NOAA) in 01990 – becoming the first woman to hold that post. 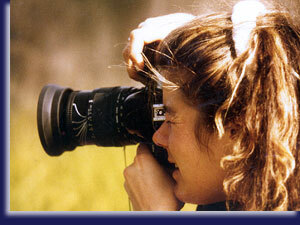 Her publications number more than 190, and include both academic articles and children’s books about the deep ocean. Called “her deepness” by the New York Times and the New Yorker, Earle has led more than 100 diving expeditions and logged more than 7,000 hours under water. She set a depth record of 1,250 feet in a 01979 solo dive off the coast of Oahu, and led an all-female team of aquanauts on an extended mission at an ocean-floor habitat and laboratory as part of the Tektite Program, a collaboration between NASA, GE, and the Navy to examine the biological and psychological effects of long-term isolation in small spaces. would use all means at [their] disposal – films, expeditions, the web, new submarines – and campaign to ignite public support for a global network of marine protected areas; Hope Spots large enough to save and restore the ocean, the blue heart of the planet. How much? Some say 10 percent, some say 30 percent. You decide: how much of your heart do you want to protect? Whatever it is, a fraction of one percent is not enough. My wish is a big wish, but if we can make it happen, it can truly change the world, and help ensure the survival of what actually — as it turns out — is my favorite species; that would be us. For the children of today, for tomorrow’s child: as never again, now is the time. Networks of marine protected areas maintain healthy biodiversity, provide a carbon sink, generate life-giving oxygen, preserve critical habitat and allow low-impact activities like ecotourism to thrive. They are good for the ocean, which means they are good for us. Earle has long been a mentor to Tierney Thys, whom National Geographic describes as “the next generation’s champion of ocean exploration.” A Marine biologist, Thys has devoted her career to the Mola mola, or giant ocean sunfish. Enchanted with the ocean from a young age, she began working with Earle at Deep Ocean Engineering before obtaining a doctorate in zoology at Duke, specializing in the biomechanics of swimming muscles in fish. Today Thys is a leading expert on the ocean sunfish, a very large yet mostly unknown open ocean fish. Her research team tags the creatures and collects tissue samples in efforts to learn more about their reproductive habits, their use of ocean currents to travel across the world, their jellyfish diet, and the size of their population. In a 02003 TED talk, Thys explains what the Mola mola might teach us about life in the open ocean, and shows that marine research can awaken a love for the ocean in all of us. I don’t think I could say it any better than the immortal Bard himself: “One touch of nature makes the whole world kin.” And sure, it may be just one big old silly fish, but it’s helping. If it’s helping to unite the world, I think it’s definitely the fish of the future. Thys is also an educator and filmmaker: she works with nonprofits and research institutes to advance public understanding of science and the environment through films. 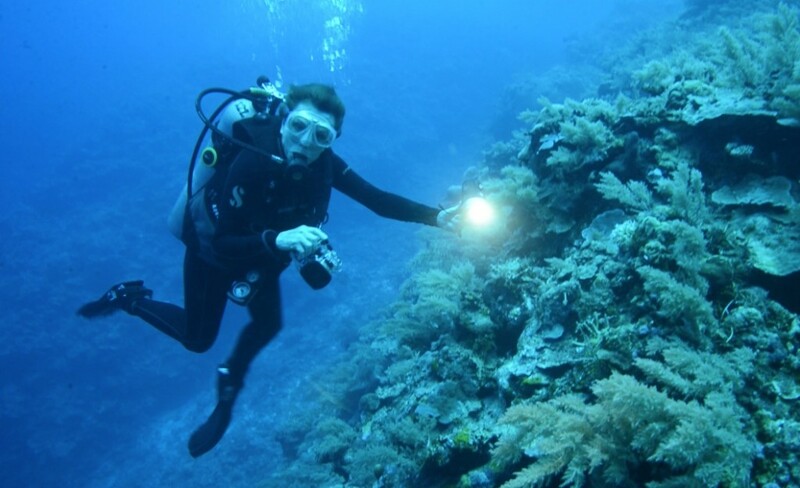 She has written, narrated, and produced documentaries about the ocean and global environmental change with the Sea Studios Foundation, where she was the Director of Research until 02008, as well as TED Ed. Human beings are sea creatures, dependent on the ocean just as much as whales, herring or coral reefs. The big blue area that dominates the view of earth from space was once our home and today represents 97 percent of the biosphere where life exists, providing the water we drink and the air we breathe. And we are destroying it. The two will meet on stage at the SFJAZZ Center on May 20th to lead their audience on a journey into the world’s oceans. They will explore the mysteries of the life it holds, discuss the ways we are threatening its health, and review what humanity can do to protect its well-being. You can reserve tickets, get directions, and sign up for the podcast on our Seminar page.